I have been looking at the boots people have been wearing lately. Of all the boots I have seen, I love the equestrian style boots the most. 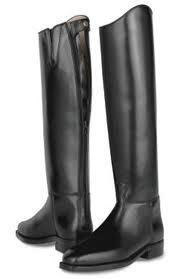 I like the sleek, sophisticated look of an equestrian boot. It looks so fabulously chic tucked into jeans, pants and jodphurs. I think they would also look really stylish worn with skirts as well. 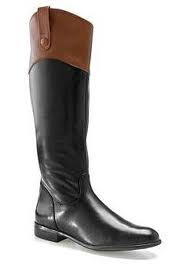 There are two styles of equestrian boots which I like. Black boots and black boots with a tan/light brown contrast top. Are you a fan of equestrian boots? i'm upset right now because we don't get to wear these boots in indonesia :( the weather is just not supportive. i love all these looks! Thanks Clara! Have an awesome weekend.